Michelin Pilot Sport 4S Available in Z06 sizes! Just thought I would let everyone know! I love my Super Sports! I'm sure these are even better. This is the 18/19 setup. Good to see they are available in our 18/19 OEM sizes. M markets them as a better overall street tire than the PSS, but get the PSS if you are going to use your street tires on the track. I have track tires so these would be my next street purchase, but tht's likely 4 years away. Why would you get get the PSS over 4S if you're going to track it? Just the cost difference? M indicates the PSS will do better/stand up better for track use. That only matters for those that do occasional track events and want to use their street tires for those track events. Those of us that have extra wheels and tires would go a different way, with the PS4S for street only and the other wheels and either full track tires or DOT legal track tires that we could drive to the track, run them and drive home. I am in that second group. Also lately some of the PSS have been on very special pricing, well below PS4S. 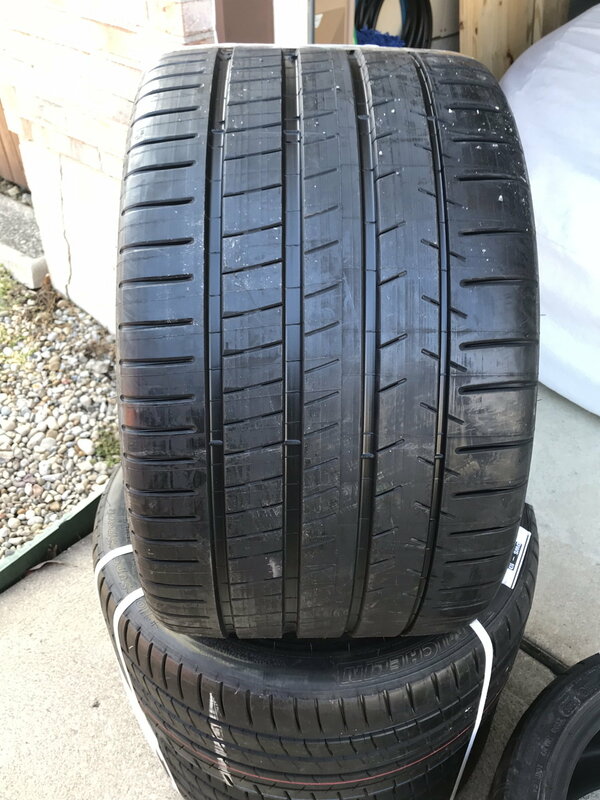 My buddy bought 325/30-19 PSS from Tire Rack for just over $200 per tire. Last edited by AzDave47; 02-15-2018 at 04:30 PM. Interesting. Where did you read pss is better on the track? I must have missed that! I don't have a copy of it, but it was in a Michelin release, during a discussion on the introduction of the new PS4S. Good deal on your PSS purchase. 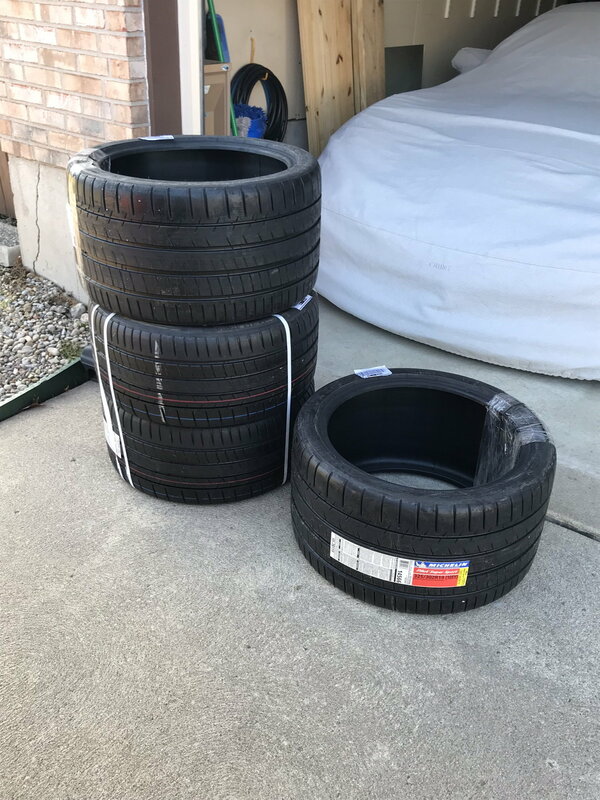 TR posted price for OEM 18/19 is $268/$285 for PSS and $285/$358 for PS4S, but I would make the decision on whether it would be a street only tire or one I would track a few times per year and didn't have a 2nd set of wheels. It will probably be another 3 years before I am in the market of new street tires, so who knows what will be the best then. PSS pricing is better now because it is being replaced by the PS4S so they are just trying to get rid of the inventory, assuming that you can still get PSS tires in the size you want over the 4S. I will be driving on 4S's this coming driving season, if I could get PSS tires locally I probably would've gone that route. I am running a 19/19 setup (275/30/19 F and stock rear tire size). 285/30/19 size is NA on PS4S. Last edited by Cman01; 01-04-2019 at 05:18 PM. I just picked up a full set of MPSSs off eBay brand new for $956 shipped. I was going to NT01s, but saving $500 means I'll just have to wait until the end of the year when they go on sale. Last edited by Mark Leger; 01-13-2019 at 09:54 PM. some have had the problem, others have not. My buddy had it bad on his Grand Sport. I haven't had any issues although the first set I got had to be re-balanced 3 times, then no problem. I've had the opposite experience. I went down from 285 PSS to 275 PS4 and I have a much easier turn in with the new tires. I'm only aware of the fact that the PSS might exhibit a little bit more feedback at the limit of it's lateral traction capabilities, whereas the PS4 will transition from grip to slip more abruptly. However the PS4s turn the same lap times or better. That's a hell of a deal. Im assuming its the stock size ZP's? Do they still have that deal available? I looked at the PS4 last year and determined that they were actually narrower than the MPSS ............. anyone else notice?? Not by much my wheels. I looked at that as I was mid-swapping them at the tire shop. And this was going from 285 to 275! what did change more drastically was the height. Last edited by freddyvette; 01-14-2019 at 04:14 PM. Quick Reply: Michelin Pilot Sport 4S Available in Z06 sizes!